London: Nine years after they were forced to flee the war in Syria, the family of a 15-year-old boy -whose abuse at the hands of school bullies in the UK was captured in a viral video clip — has been forced to move again. In an interview with the Guardian, the father of the boy — who can only be referred to as Jamal — said that the family left their home in Huddersfield after people who had seen the video threatened them with violence. Farah, the eldest daughter, said: “When I first came here I just wanted to make friends and was going to be a doctor. We did not understand why this was happening. We were happy to be in a mixed place ... community with lots of different people. We just wanted to have friends and get our studies at school,” she added. The family’s latest setback comes after many years of struggle as they made their way from war-torn Homs to the UK. They had seen friends and relatives brutally murdered and tortured under the Assad regime. In 2016, they escaped the carnage of the country’s civil war to neighbouring Lebanon, living in Al Badawi, one of 12 official refugee camps and hundreds of informal settlements, and became part of an estimated 1.5 million Syrian refugees in Lebanon. After months in the camp, in October of the same year, they were eventually given safe passage to Britain under a UN resettlement programme. They were one of around 550 families placed in West Yorkshire and among 130 families sent to live in the Kirklees area of Huddersfield. Three months ago everything changed again when the footage showing the family’s eldest son, Jamal, being allegedly assaulted was posted online. Since then it has emerged that Jamal and Farah, the only Syrian children in the school, became targets for bullies within a month of starting school. In the meantime the far-right campaigner activist Tommy Robinson tried to take advantage of the incident and interviewed the 16-year-old suspect on YouTube. Tasmine Akunjee, the family’s solicitor, confirmed they were planning to take legal action against the founder of the English Defence League. The Guardian met the family three days after they moved away from Huddersfield, in their new lounge — a sparse room decorated only with glinting golden Arabian tea sets sitting proudly on a shelf. The sets are from their home in Syria. For Farah, the couple’s eldest daughter, it has been devastating and all of them are struggling to come to terms with the events of the past few months. Shortly after the footage of the alleged attack on her brother went viral, more footage emerged showing a young girl being physically abused at the same school. The video shows the girl being pushed towards a grass verge and her headscarf being pulled. At the end of the clip she falls to the ground. A girl was excluded from the school over that incident. 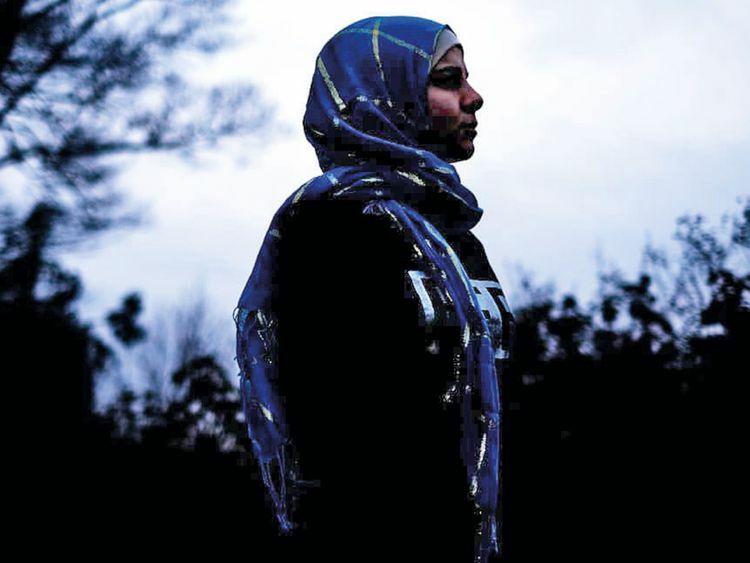 Her father looks at Farah, who is wearing a bright cerulean blue headscarf and talking about her lowest point when after months of bullying she attempted to take her own life. “No one was listening to us,” she says. “This had been happening every day. We kept being asked to make statements, they had meetings with my parents, but nothing. They would pull my scarf all the time, pull my hair, say things to me, and for Jamal it was the same but nothing was done. “I became very sad and upset and didn’t know what else to do,” she adds. Jamal, who has remained in the background for most of our visit, eventually speaks and says he no longer wants to remember what happened in Huddersfield. He hopes that he and his sister will be given places at a local grammar school and they can continue their education and move on from the past. A fund-raising page, set up for the family after the video went viral, raised more than £170,000.